In the Humanoid League, autonomous robots with a human-like body plan and human-like senses play soccer against each other. Unlike humanoid robots outside the Humanoid League the task of perception and world modeling is not simplified by using non-human like range sensors. In addition to soccer competitions technical challenges take place. Dynamic walking, running, and kicking the ball while maintaining balance, visual perception of the ball, other players, and the field, self-localization, and team play are among the many research issues investigated in the Humanoid League. In the KidSize soccer competition teams of four, highly dynamic autonomous robots compete with each other. 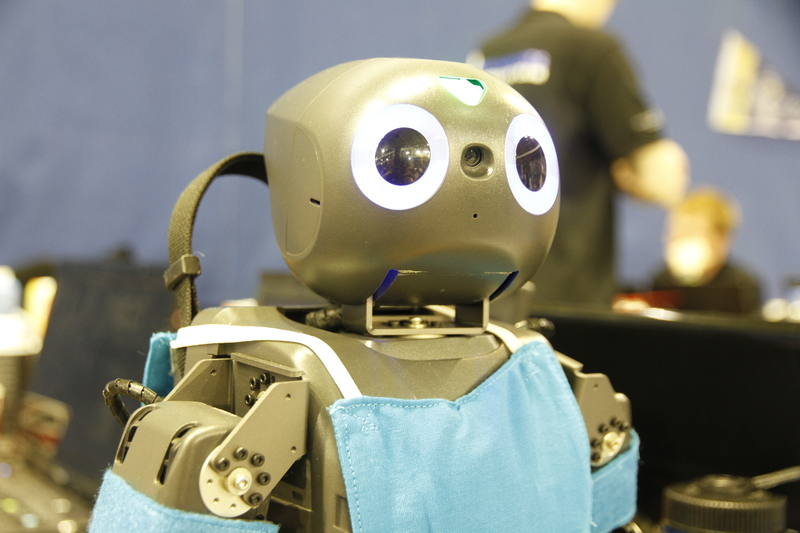 Since 2010 the TeenSize soccer competition features teams of two autonomous robots competing with each other. In AdultSize soccer, a striker robot plays against a goal keeper robot first and then the same robots play with exchanged roles against each other.